Billy Goldstein is an Operating Partner with Star Mountain Capital, LLC, helping add value to the firm’s underlying operating companies including assisting with identification of strategic add-on acquisitions and other M&A and financing related matters. He has over 20 years of experience running industry practices, advising C-level executives and boards of directors, negotiating transactions, leading deal teams and identifying principal investing opportunities. 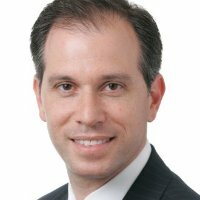 As a former investment banker at Goldman Sachs, Macquarie Capital and J.P. Morgan, Mr. Goldstein brings significant industry and finance expertise, as well as a keen understanding of the best practices employed by many successful growth companies. He has extensive deal execution expertise having completed M&A transaction with aggregate value of over $100 billion and helped raise over $36 billion in debt and equity for clients. In the most recent five years, Mr. Goldstein was a Managing Director and Head of North America Telecom at Macquarie Capital, a global financial services firm with 13,900 professionals across 28 countries. Macquarie is also the premier infrastructure investment and asset management firm with over $350 billion of assets under management. Mr. Goldstein helped build and grow the merchant bank in the U.S., advised and raised capital for public and private TMT companies globally ranging from early-stage to mid-caps. He also sourced and evaluated principal investments for equity, mezzanine and debt, and was a member of the firm’s M&A Fairness Committee. From 1998 through 2009, Mr. Goldstein was with Goldman Sachs where he was a Managing Director in the Investment Banking Division’s TMT group. He was Co-head of the Global Satellite Sector, Head of the Wireless Tower Sector, and also Co-head of the Hispanic and Latin Network for the investment bank. Prior to working at Goldman Sachs, Mr. Goldstein worked at JP Morgan in New York and London. He also worked as an engineer at AT&T Bell Laboratories and GE Aerospace. Mr. Goldstein holds an MBA from Harvard Business School and a Bachelor of Science in Electrical Engineering from the University of Pennsylvania.